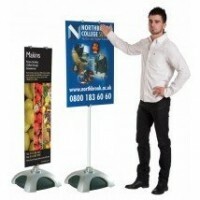 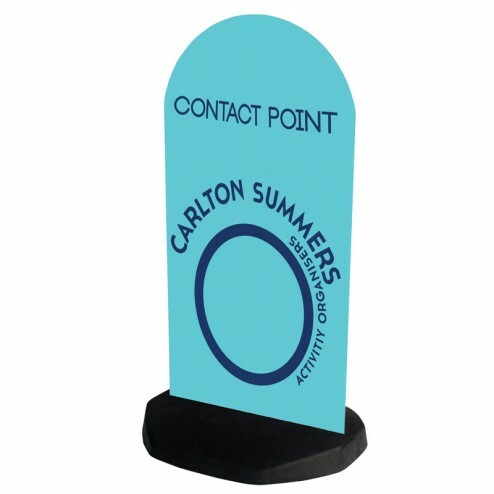 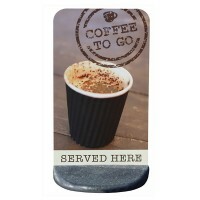 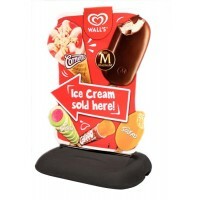 Weighing 8kg this sturdy base is for indoor or outdoor use to get your brand message across no matter what the environment with the sign being designed use in 13-18mph winds. 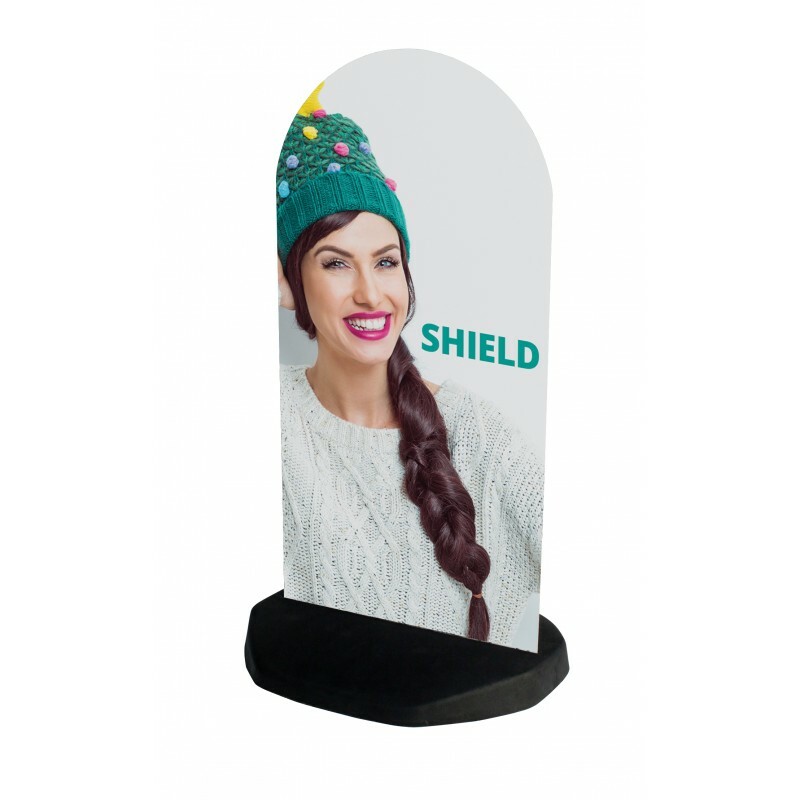 Watch this instructional video on the shield pavement sign and how to set it up. 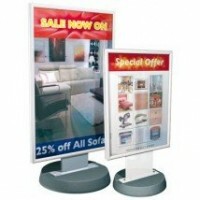 We only sell the arched design but the assembly and features are the same for both shapes.